Are you getting annoyed by insects? Gavilan Pest Control is here to get rid of them. 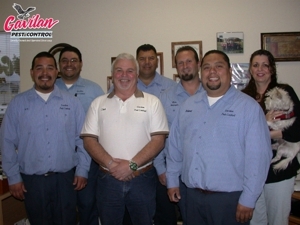 Since 1993, we have been providing pest control services in Salinas. We provide safe and environmentally conscious solutions to your pest problems. Our pest control services are performed by highly trained and experienced staff using state-of-the-art equipment and techniques. Your search for pest control professionals with guaranteed results ends here. Like us on Facebook and get $25.00 off on initial service. Why Choose Gavilan Pest Control? Pest Control Operators Association of California, Inc. Copyright © 2018 gavilanpestcontrol1.com All rights reserved.